This paper investigates the issue of Quality of Experience (QoE) for multimedia services over heterogeneous networks. A new concept of “Isomorphism Flow” (iFlow) was introduced for analyzing multimedia traffics, which is inspired by the abstract algebra based on experimental research. By using iFlow, the multimedia traffics with similar QoE requirements for different users are aggregated. A QoE evaluation method was also proposed for the aggregated traffics. 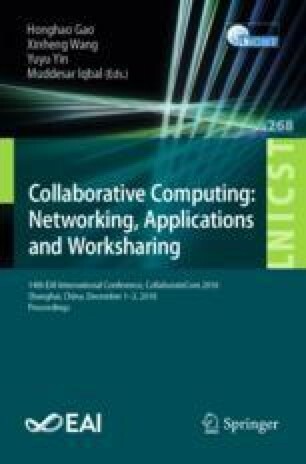 Then a new cross-domain QoE guarantee method based on the iFlow QoE is proposed in this paper to adjust the network resource from the perspective of user perception. The proposed scheme is validated through simulations. Simulation results show that the proposed scheme achieves an enhancement in QoE performance and outperforms the existing schemes. This work was supported in part by National Natural Science Foundation of China (No. 61401004).